On July 14, 2017, the second Community of Practice meeting for the URBANFLUXES project was organized in Heraklion. The event took place in the facilities of the Municipality of Heraklion. 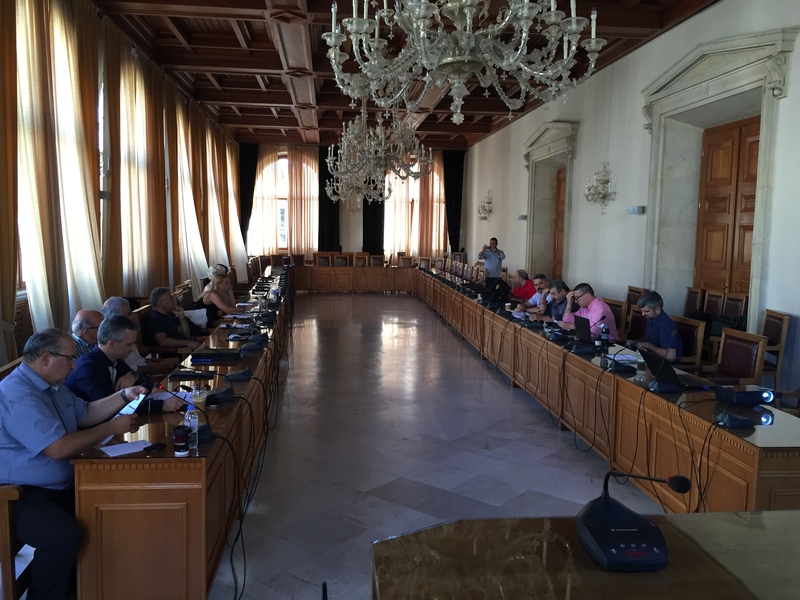 Participants of the meeting included, besides the URBANFLUXES scientists, representatives of the Municipality of Heraklion, the Region of Crete and the Decentralized Administration of Crete. After the short welcomes by G. Alexakis, Regional Councilor of Crete and G. Anastasakis, vice Mayor of Heraklion, N. Chrysoulakis, coordinator of URBANFLUXES, made an introduction on the methods and the scopes of URBANFLUXES project. Then, K. Mochianakis, Programming Director in the Heraklion Municipality, gave a thorough presentation of the actions, projects and goals of Heraklion as a smart city and E. Hatziyanni, Directorate of Environment and Spatial Planning in the Region of Crete, gave an overview presentation of the environmental projects and infrastructure in Crete. 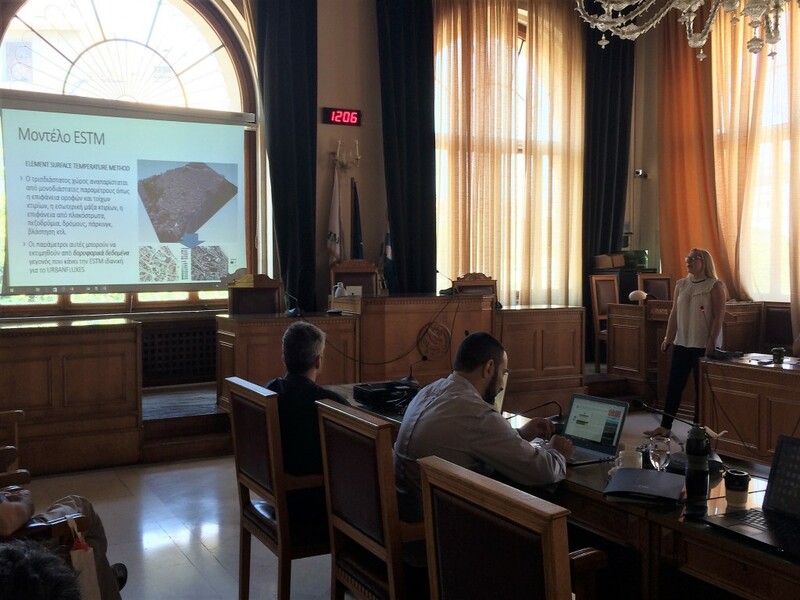 In the second part of the meeting, URBANFLUXES scientists made a series of presentations regarding the main project outcomes and data that can be potentially valuable for the sustainable urban planning in Heraklion. After this demonstration, a panel discussion took place with contributions from all participants. 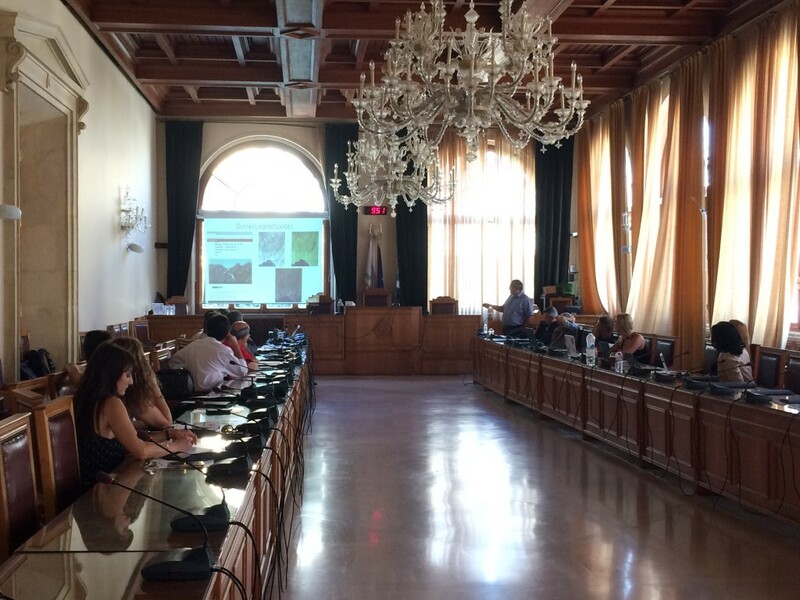 The discussion was focused on how URBANFLUXES data can support the climate change mitigation planning for the city of Heraklion. 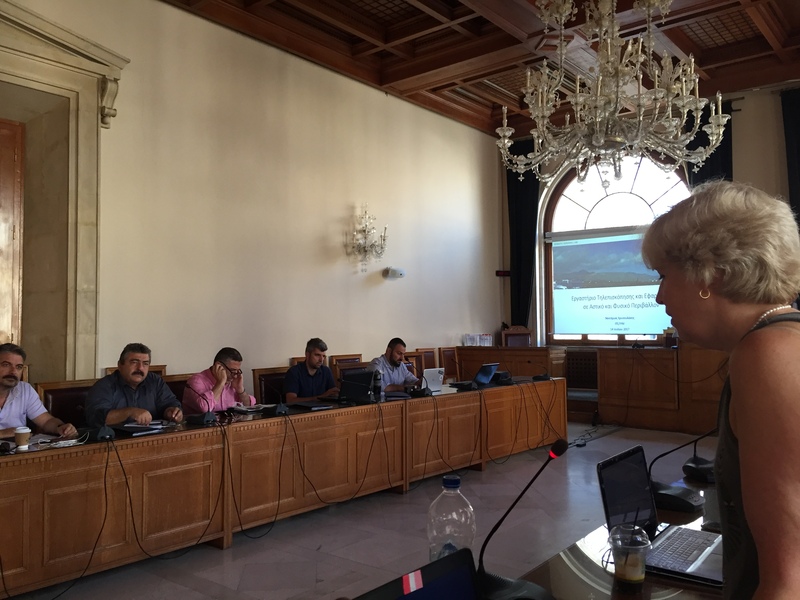 Furthermore, there was a round of questions to the URBANFLUXES Consortium on the potential of URBANFLUXES to support urban planning, urban environmental management, energy efficiency, urban governance and civil protection in the broader area of Heraklion. 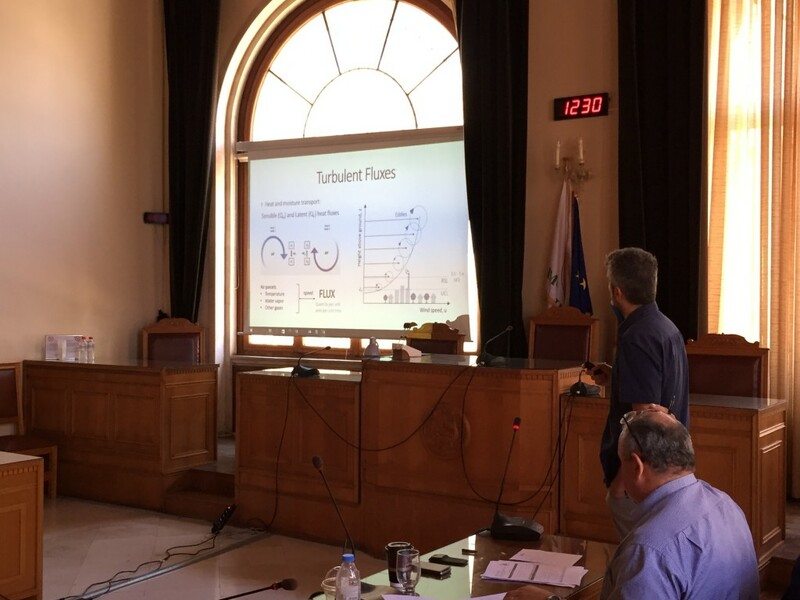 The local stakeholders gave very positive feedback on the utility of URBANFLUXES data in their efforts for sustainable planning in Heraklion. 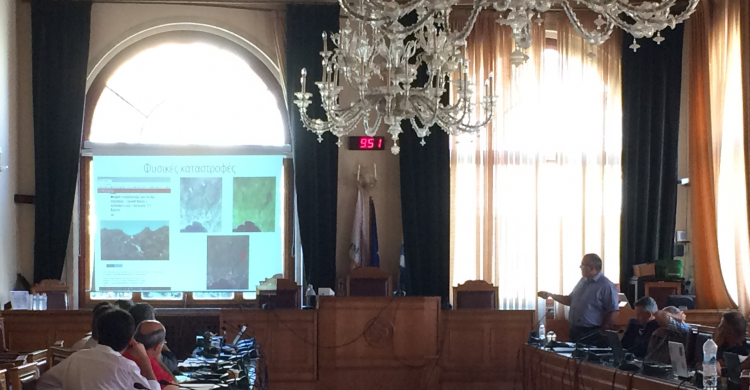 It was made clear by all participants that Heraklion lacks of efficient environmental planning and tools for environmental monitoring. Thus, URBANFLUXES project makes a significant contribution by upgrading the available environmental infrastructure with the most up-to-date and innovative tools. J. Klostermann, organizer of participatory methodology for stakeholder involvement in URBANFLUXES project, closed the meeting by making a wrap-up of the discussions and gathering the most important concluding remarks.